Living in the Land of Make Believe? Have you ever found yourself in the Land of Make Believe? Answer this, do you have Dreams or Goals? 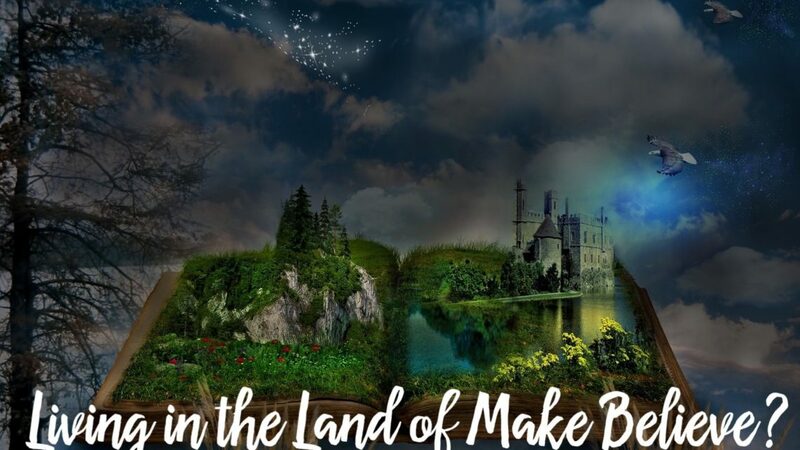 Maybe you don’t think the Land of Make Believe really exists. No, it is NOT a theme park and I’m not talking Neverland or Wonderland. The Land of Make Believe I am referring to is near the City of Wishful Thinking just north of the town named What If and east of Dream Land. Sure these places were fun to navigate when we were kids but as we get older remaining in any of these places becomes a dangerous state of mind. By now you either clicked away from this nonsensical babbling or are waiting for the point. Well, I’m talking about those dreams we all have. You know, professional, personal, financial dreams. When we wish we were our own bosses, dream about hitting the jackpot and all the things we would do or wonder what if we ventured into something new. Well, it is nice to dream but, if that’s all you are doing then you are taking up permanent residence in one of the locations mentioned above. Even if every so often you end up getting knocked down the dream world by the disappointing hits of the mundane daily routines, you go right back to the same dream world. No I am not looking to depress you. I’m just saying, there’s something you can do about all those dreams, wishes, and what ifs. Yes, even the jackpot dream requires an actionable step; buy a ticket! That simple. I’m not saying you’re going to win but at least you did something about it. What I’m getting to is that there’s nothing wrong with dreaming, thinking big, shooting for the stars and all that jazz. But if all you’re doing is wishing and hoping and thinking and praying then you will take permanent residence in the Land of Make Believe never getting anywhere. So before you pick up your permanent resident card start making plans on how to achieve those dreams, then instead of being dreams they will become goals. Small steps are better than no steps. Doesn’t matter if is a long shot; pick a dream and make it a goal by planning a road map to it. Just small action steps that can get you closer to it. Write it down, set reminders, put it on a post it note on your mirror or computer screen. Whatever it takes to get you a little closer. Seeing that you’re taking those small steps in real life will also make you feel better helping you appreciate the journey. Because all the realities we face on a daily basis (chores, bills, errands, parent-teacher meetings, and the list goes on) are not meant to be obstacles or setbacks, they are part of the journey that prepare you. All those things are making you stronger, wiser, and building your character so you can be that much better when you get to the goal. So whatever it is you want to do, start creating a road map to it. Hey, if this election has taught us something it is that ANYTHING is possible. Now go ahead and get to it! Whatever “it” may be!